Only Watch 2017 Round Up – Start Saving! 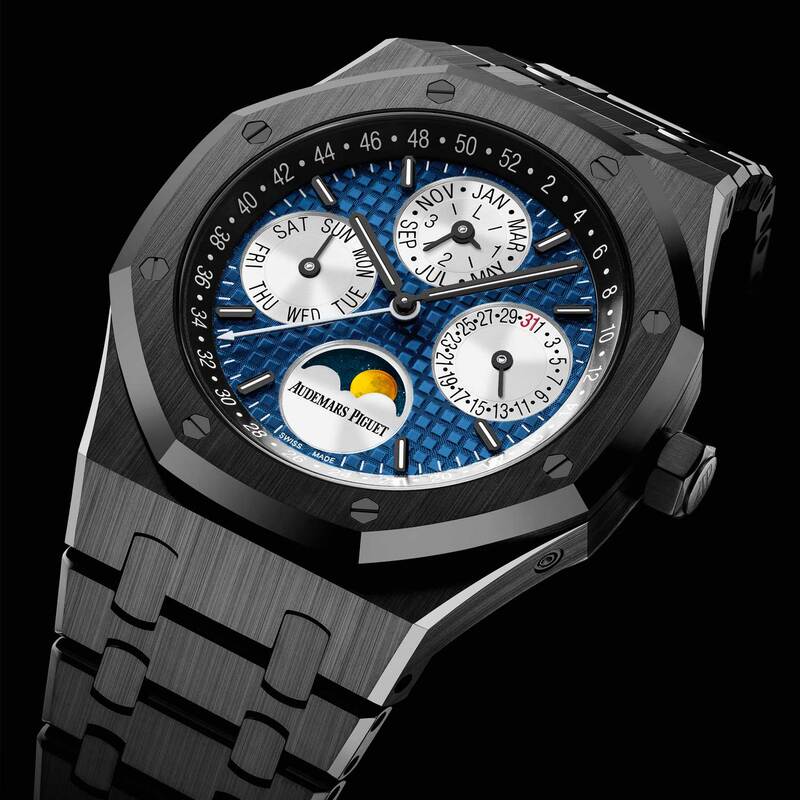 Only Watch is the charity auction that consists solely of unique pieces from the participating brands, who generously create one-offs which are then donated to the sale. The entire proceeds go to fund the research for Duchenne Muscular Dystrophy. Under the High Patronage of His Serene Highness Prince Albert II of Monaco, the event this year will be handled by Christie’s, on 11 November on Geneva, with – at the time of writing – nearly 50 lots. 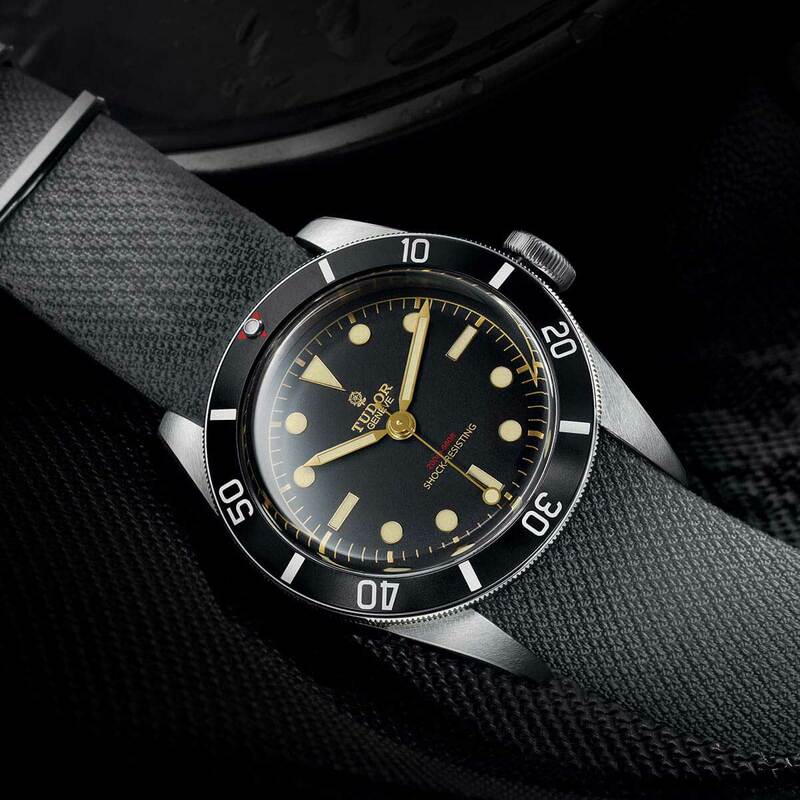 In 2015, any jaded auction observer was shocked out of complacency by the sale of a unique Tudor Submariner, the precursor to the Black Bay Black, which fetched an outrageous CHF 375,000. Only Watch has never been short of surprises, but few anticipated a bid of around 100 times the retail value of the regular watch on which the one-off was based. This year, Tudor has a unique piece that might match its record-setting predecessor, while the big-ticket pieces from Patek Philippe, FP Journe, Kari Voutilainen and a surprise collaboration between Laurent Ferrier and Urwerk, of which no images yet exist, will vie for the hottest lots of the day. 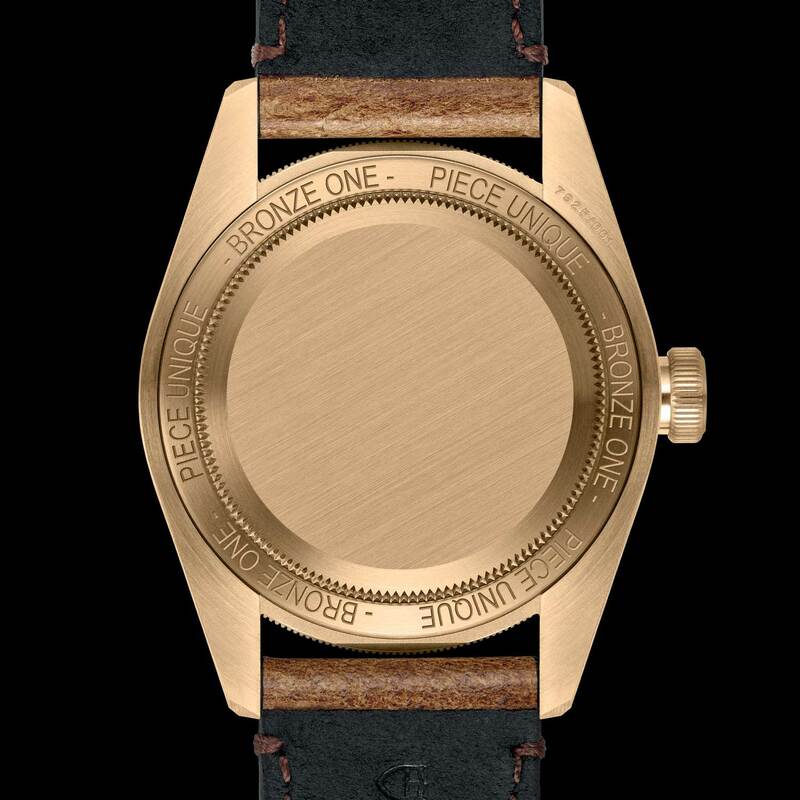 For those who love bronze and left-handers, this one-off combines the two features to create the world’s only Black Bay Bronze with the crown at 9 o’clock. Dial is Khaki Green and it protects the Manufacture calibre MT5601-LHD, with COSC chronometer certification. 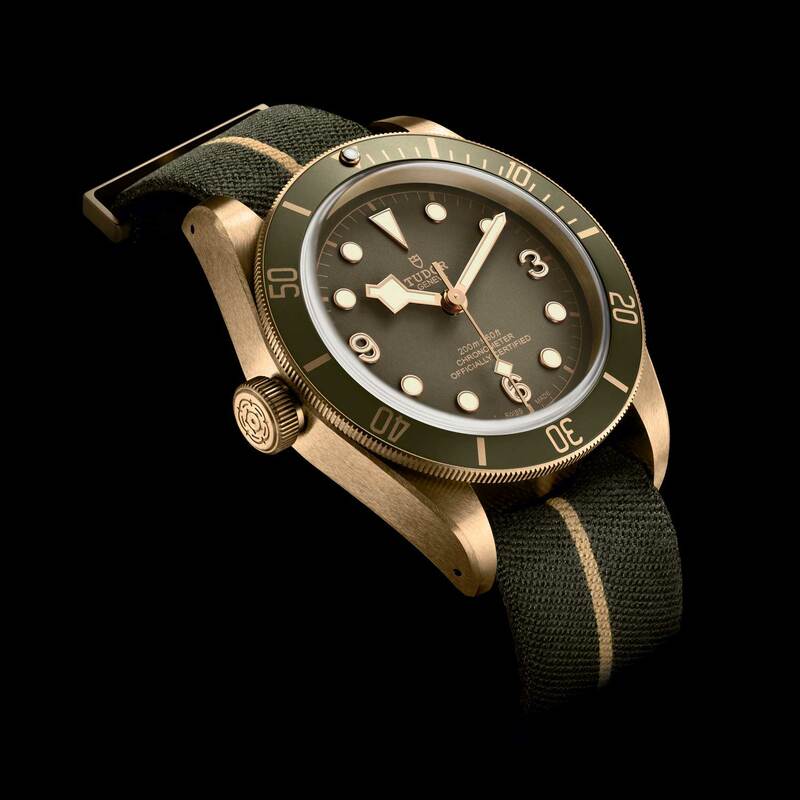 It comes with a khaki-green-and-beige striped fabric strap with bronze buckles and an aged brown leather strap with bronze buckle. An estimate of CHF 4500 to 5500 has been announced, but that sounds absurdly pessimistic! Royal Oaks are always collectible, especially when loaded with complications and bursting with colour. 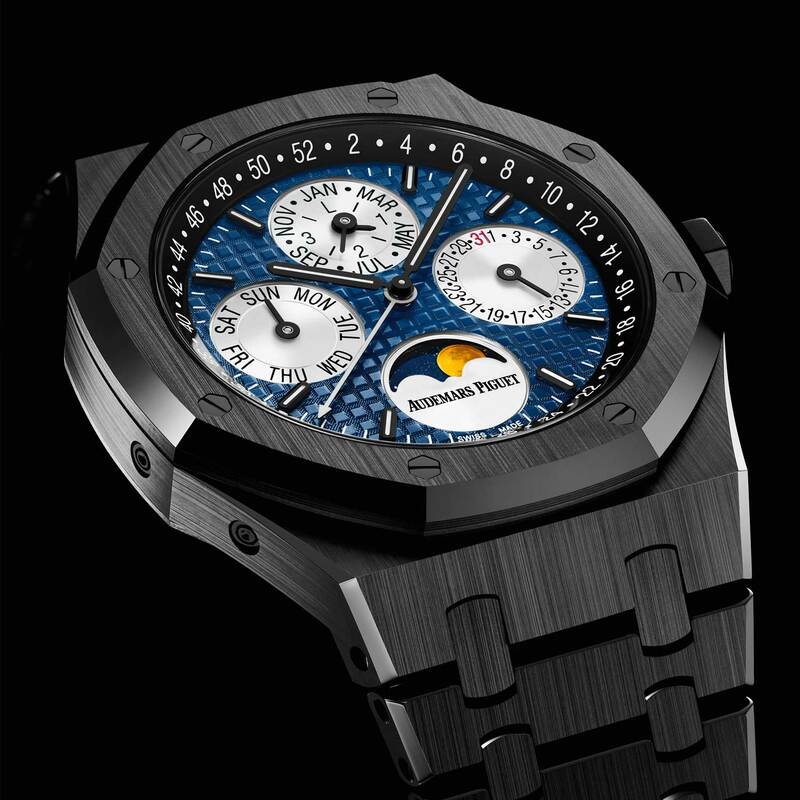 This one’s a perp-cal in black ceramic, the case off-setting a rich blue dial which AP describes as “Skylight unique royal blue Grande Tapisserie”. Four subdials in solid grey gold deal with the calendar functions, while a circumferential chapter ring shows the week of the year. Estimate is CHF 80,000-120,000.
Who says expensive timepieces can’t be fun? Konstantin Chaykin, whose past works include a tribute to Eadward Muybridge with full animation, has a watch that takes the American usage of “face” instead of “dial” to an extreme conclusion. 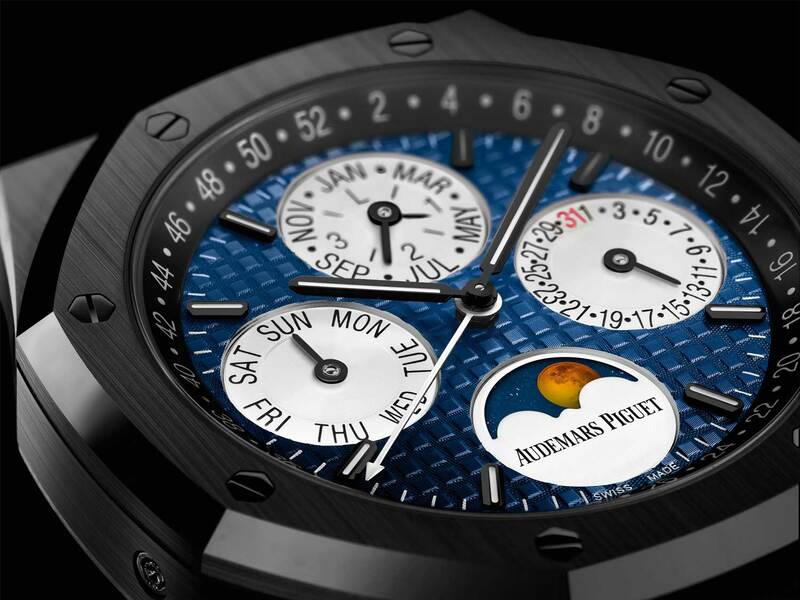 The Joke uses two discs as the current time display for hours and minutes, with the “mouth” serving as the aperture for moonphase … and the moon is the tongue. 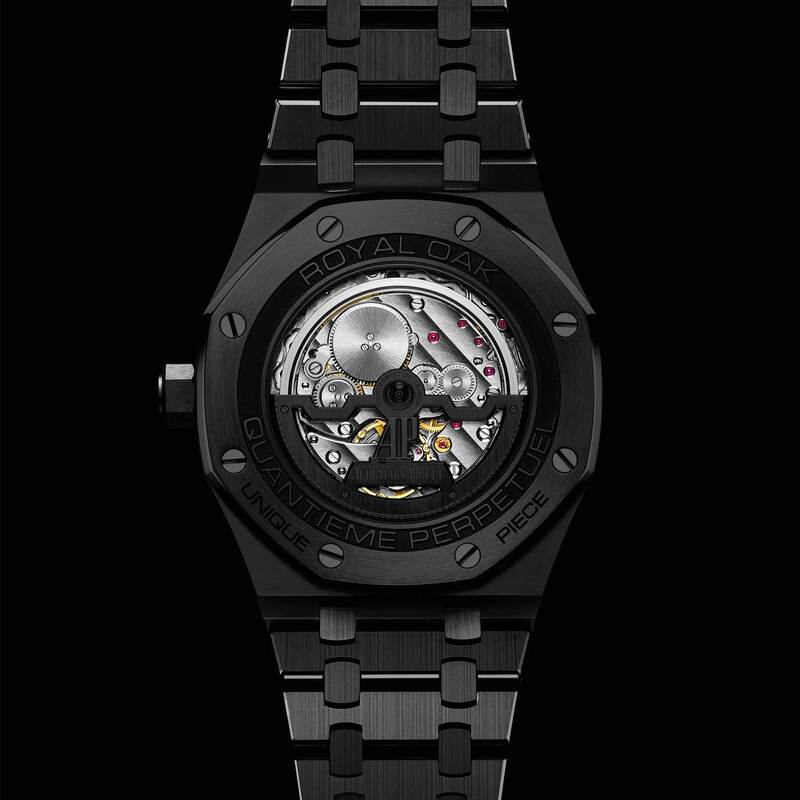 This version has been transformed into a unique piece thanks to the 42mm zirconium case being accented by a bright red dial ring and grey “face” made of ruthenium and silver. 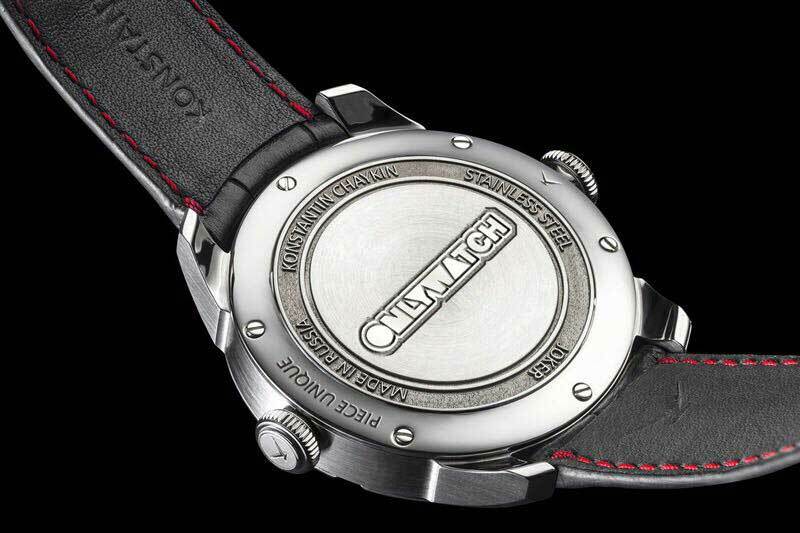 The watch also features special engraving on its case back. 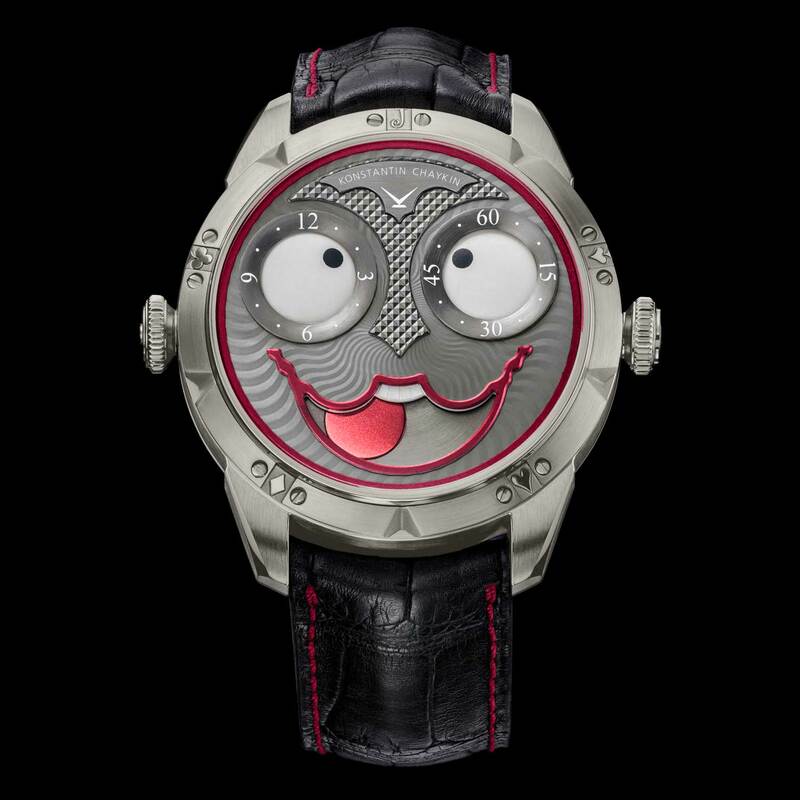 Estimate is CHF 10,000-15,000 – a bargain for a watch that will make everyone grin. We at Revolution fell in love with the “regular” Tribute to Fifty Fathoms MIL-SPEC. This one-off for Only Watch is rendered even more desirable thank to the solid gold winding rotor with an NAC coating, bearing the Blancpain logo as well as the “Only Watch” logo, visible through the transparent sapphire case back. 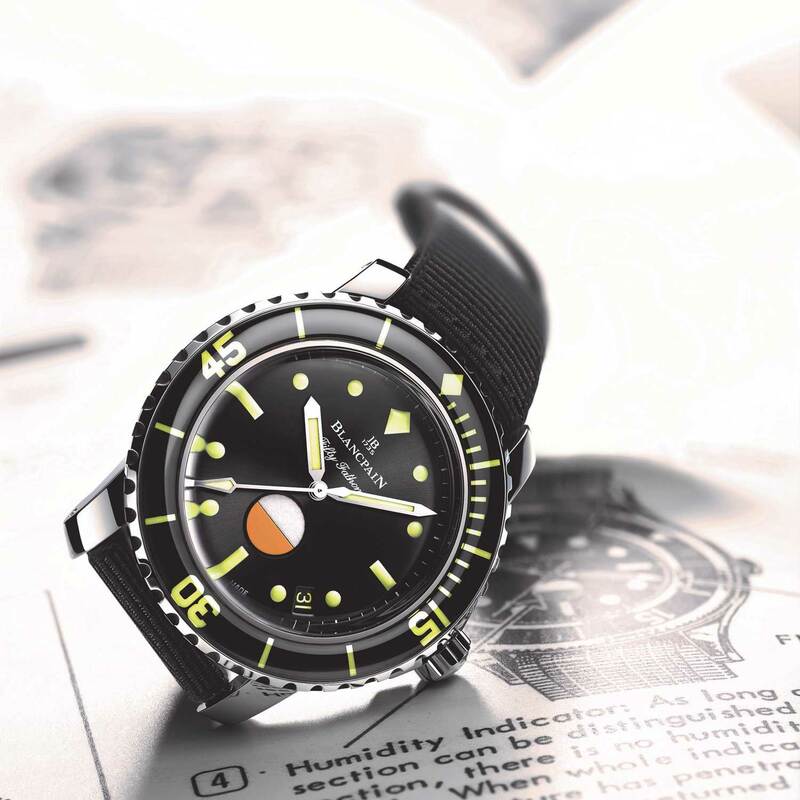 For this unique edition, Blancpain treated the indexes and hands in yellow Super-LumiNova®, while the date is also yellow and the black unidirectional rotating bezel also bears luminescent yellow markings. Estimate is US $15,100/€ 11,807/CHF 13,148. 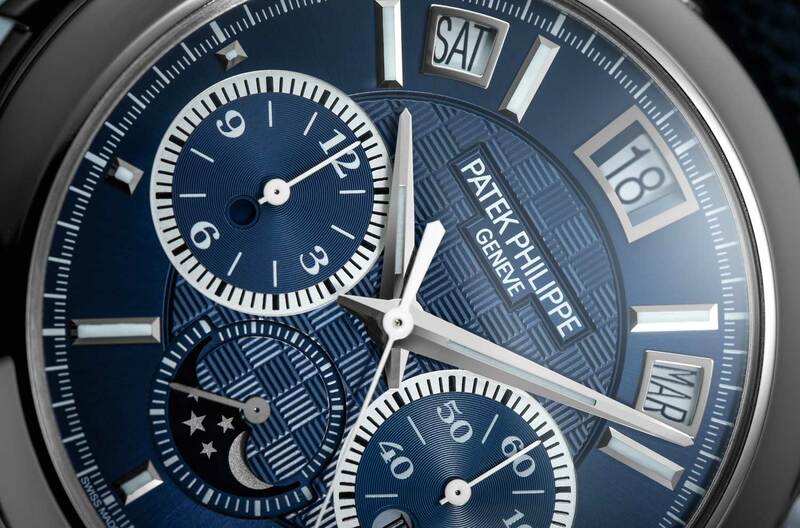 Any one-off Patek is going to cause a furore, but this unique Ref 5208 perpetual calendar/chronograph/minute repeater grand complication just might be the watch of the day: it’s the first and only version of this model ever produced in titanium, which enthusiasts know is a metal rarely by Patek. 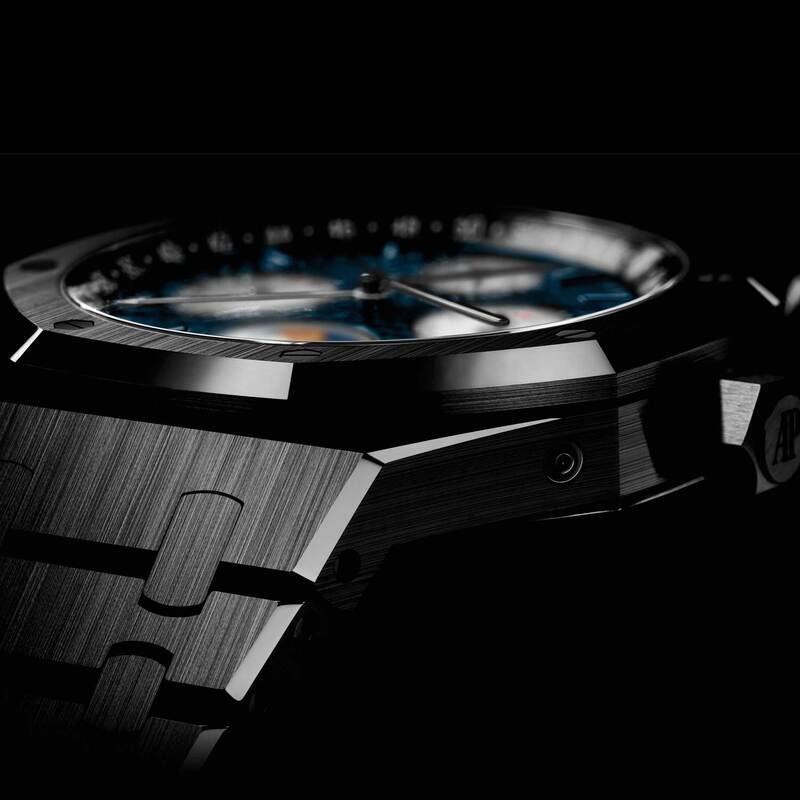 Adding to the watch’s individualistic glory are a blue dial adorned with a hand-guilloched carbon-fibre pattern, while the calibre R CH 27 PS QI movement, visible through a sapphire-crystal display back, is black rhodium-plated and the platinum micro-rotor is hand-guilloché with the same decoration as the dial. The colour coordination continues with a blue Cordura strap. 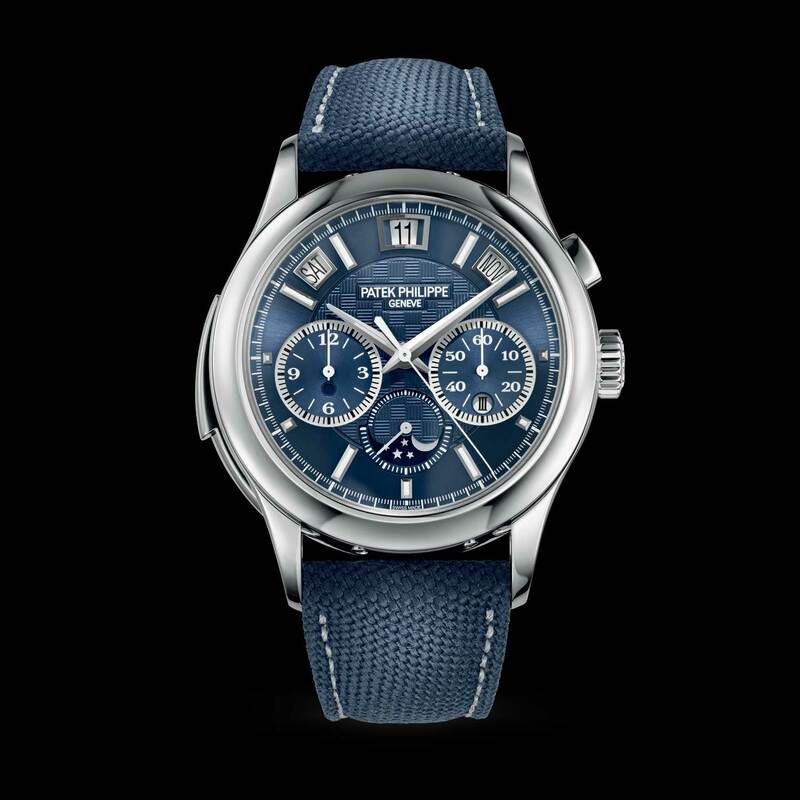 Patek will supply this with both full and sapphire-crystal interchangeable case backs. 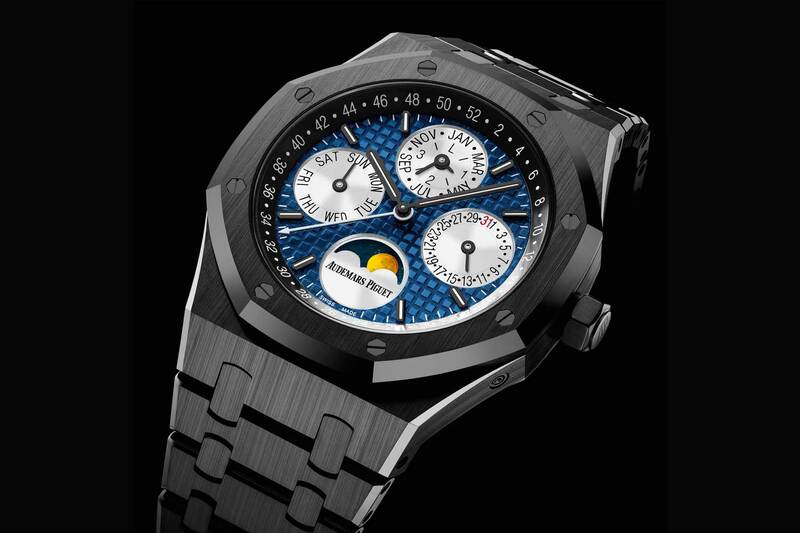 Estimate of the watch is a cool CHF 900,000-1,100,000. And remember, guys, it’s for a good cause.